Nationality: American. Born: Robert Preston Meservey in Newton Highlands, Massachusetts, 8 June 1918. Education: Attended Lincoln High School, Hollywood. Family: Married Catherine Feltus Craig, 1941. Career: 1934—joined Shakespearian group managed by Mrs. Tyrone Power Sr.; then worked at Pasadena Community Theatre for two years; 1938—film debut in King of Alcatraz ; contract with Paramount; also acted on stage in 18 Actors company; 1942–46—served in U.S. Army Air Force; 1951—in TV series Man against Crime, Anywhere, U.S.A. series, 1952–54, and mini-series The Chisholms , 1980; 1951—on stage in Twentieth Century ; later stage roles include The Male Animal , The Tender Trap , 1954, His and Hers , 1954, The Music Man , 1957 (and film version, 1962), I Do! I Do! , 1968, and Mack and Mabel , 1974. Awards: Tony Awards, for I Do! I Do! , 1967, and The Music Man , 1958; Best Supporting Actor Award, U.S. National Film Critics, for S.O.B. , 1981. Died: Of lung cancer, in Santa Barbara, California, 21 March 1987. Interview in American Classic Screen (Shawnee Mission, Kansas), September-October 1982. Preston, Catherine Craig, "The Movies and I," as told to John Springer, in Films in Review (New York), August-September 1957. Current Biography 1958 , New York, 1958. Peper, W., "Robert Preston," in Films in Review (New York), March 1968. Hurley, Joseph, in Films in Review (New York), August-September 1982. Obituary in Variety (New York), 25 March 1987. Obituary in Films and Filming (London), May 1987. Briggs, C., "Remembering," in Hollywood Studio Magazine (Studio City), no. 3, 1989. 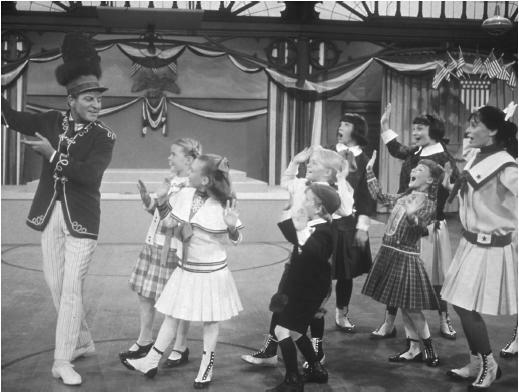 Robert Preston is best known for his stage and screen performances as "Professor" Harold Hill in The Music Man . His portrayal of the disarming confidence man underscores the paradox that informs his work: here and elsewhere, Preston's feather-light grace and sense of comedic timing belie his rugged and sturdy visage. Preston was signed by Paramount in 1938, and first gained wide approval in Union Pacific . After serving in World War II, he was a success in The Macomber Affair . Tired of playing leads in only smaller pictures, Preston accepted an offer in 1951 to appear on Broadway, and he soon became known as a stage actor. In 1957, Preston arrived as "the music man," and won his first of two Tony Awards. Preston's success on Broadway renewed Hollywood's interest in him; he became known as one of the ablest character actors in Hollywood, and continued work on both coasts. In the 1980s, work with Blake Edwards brought Preston renewed acclaim. His performance as Toddy in Victor/Victoria brought Preston an Academy Award nomination. There is always a touch of fraud about Preston's characters. They gain sympathy in direct proportion to the degree they acknowledge their own facade. Preston frequently emphasizes the function of acting in his roles, adding to his fraudulent image an element that colors and shades each performance. Preston's paradoxical image has been used in a variety of ways. Though often serving a humorous purpose, his double-sided quality can generate a deep tragic resonance: he dies playing a practical joke in Beau Geste , his whimsical attitude foreshadows his death in All the Way Home , and his delusions about aging impair his relationship with his wife and son in Junior Bonner . Preston's persona has proved to be uncommonly malleable: witty and dashing in Beau Geste , devil-may-care in Northwest Mounted Police , romantic and rough-hewn in Reap the Wild Wind , heroic in Wake Island , stiff-backed and humorless in The Last Frontier , and explosively charming in The Music Man . The quality of his work ennobles even his contractual obligations and gives a sense of history to his career. When he gives a "Viking's Funeral" to Richard Mulligan in S.O.B. it reminds one of the funeral Preston gave Gary Cooper in Beau Geste . The difference between the two deny simple repetition; they represent significant variations of Preston's image and his incessant vitality. Everytime I watch The Music man, it reminds me just how true talented actors and artist perform in a movies years ago. How in today's complex world, we have lost touch with human emotions, and real acting, no tricks, no super visual effects. We humans have lost touch with so much, that our children will never know what a smile, or a look or chemistry between two people feels like. If its not in face book, or chat rooms, or your tube, its the only false way younge people seem to meet. The big question is where do we go from here? The world seems to be full of so much more greed, then I could ever remember. What ever happended to helping out a friend or neighbor, Have we truly become so Ayn Randish, except we don't seem to care what we have to say or do to get what we want, nothing proud here.